In the hospitality industry, housekeeping management is an indispensable department in a hotel which is responsible for cleanliness, maintenance, and the aesthetic upkeep of rooms. Most importantly, housekeeping aims to keep the accommodation welcoming and cozy; emulating the comfort of a “Home away from Home” for guests to have a pleasant stay. 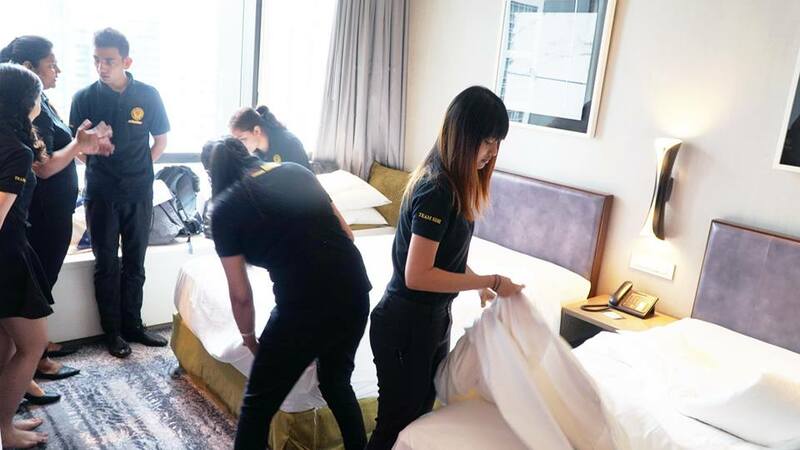 In SDH, students in the Diploma in Hospitality Operations (DHO) program have their housekeeping practical training at allocated hotel rooms at Carlton City Hotel Singapore, a 4-star hotel, with king-sized beds and single beds. Facilitated by Mr Arun (Deputy DHO Program Head) and Mdm Irene (Adjunct Lecturer), students will learn about the types of upholstery, furnishings, fixtures, terminology, bed-making techniques, and standard procedures executions during practical training. Students are partnered with each other and tasked with bed-making duties as the lecturers provide guidance on the side. 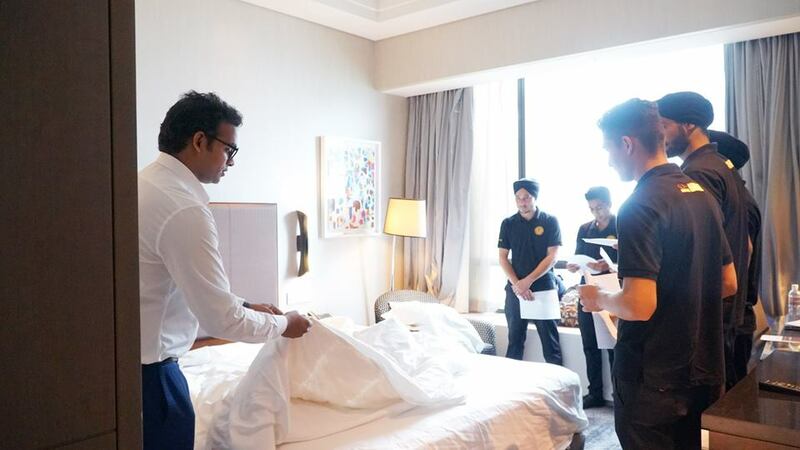 With hands-on knowledge and exposure in a real hotel, this training helps students to enhance their housekeeping skills and boost their agility when confronted with challenges when engaged in housekeeping duties. After their training, the DHO students will then undergo a practical assessment on professional bed making with the standard operating procedures taught by the lecturers during their training. 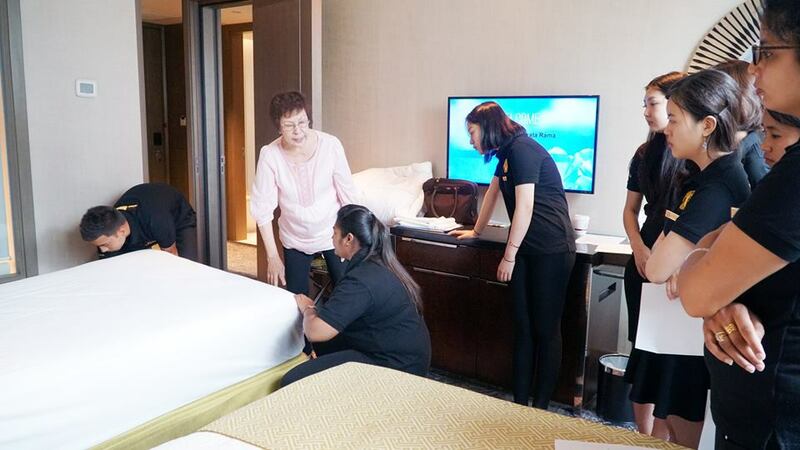 Hands-on learning in Carlton City Hotel Singapore provides students a great opportunity to grasp and apply real-world application for housekeeping. We hope the students acquired volumes of knowledge and had fun learning in a different environment.